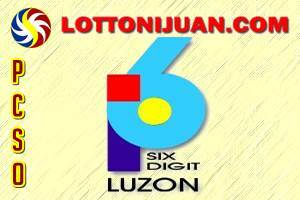 Here are the winning numbers for the 6 Digit lotto result from the Philippine lottery draw today (Thursday). The December 6 2018 6 Digit 9pm lotto draw was held at the Philippine charity Sweepstakes Office. In order to win you must get the 6-number combination drawn in exact order. You can also see the other PCSO Philippine Lotto results HERE. Here are the 6 Digit Result History November 2018. The 6D lotto draws are held every Tuesday, Thursday and Saturday at 9:00 p.m. and are broadcast at Channel 4 together with your other favorite Lotto games. Reminder: The PCSO 6D lotto game is a pari-mutuel game wherein jackpot prize will depend on how much the prize pool is. In case there will be two or more jack pot winners, the prize will be divided equally. In case there’s no jackpot winner, the current jackpot will be carried out to the next draw plus the computation of the 1st prize pool for the next draw.